One of the best parts about building a custom home is choosing your materials from top to bottom. An important choice in your selection is your roofing material. Choosing a durable roof is key in maintaining your home’s appearance, helping in heating and cooling, and most importantly, keeping your family protected from mother’s natures toughest elements. 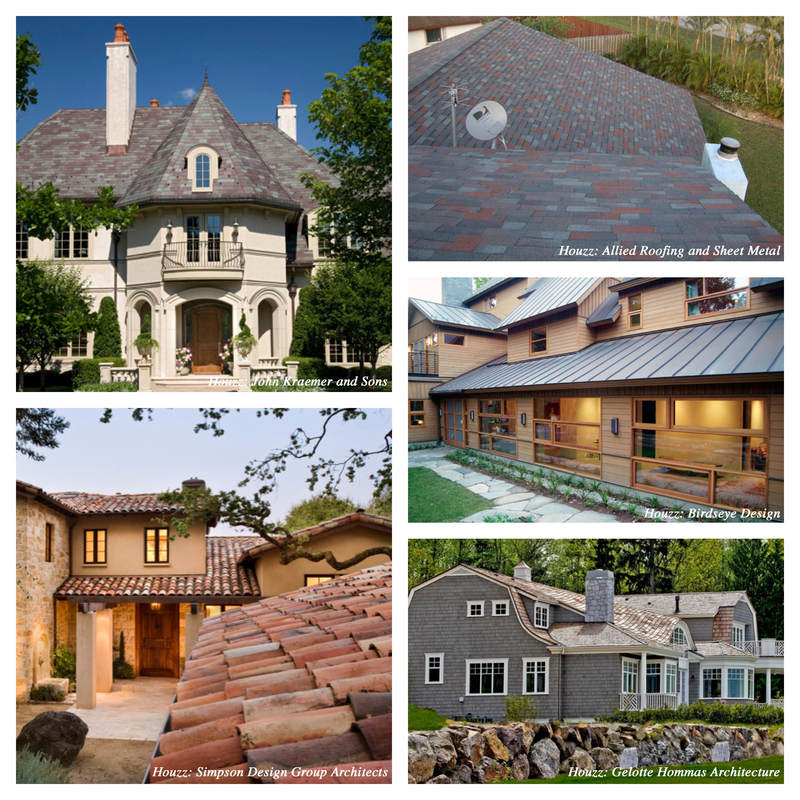 Many consumers choose the same type of roof, but it always worth it to explore your options. We’ve done the research for you and broke down the four most common roofing options. ASPHALT This type of roofing is the most common type of roof chosen. These shingles come in standard and fiberglass. Pros: a variety of price points and colors, generally durable, easy to install and replace, and are appropriate for nearly any style of home. Cons: not environmentally friendly as are made from petroleum products and are not recyclable and can be easily damage by high winds. METAL Metal roofs have become more popular in recent years. This style can come in steel, aluminum, and copper. Pros: helps reduce cooling cost by reflecting solar rays, can last several decades, durable against the elements, fire resistant, and are environmentally friendly and recyclable. Cons: often expensive, can be noisy during rain storms, metals can expand and contract depending on the weather, and may be difficult to repair due to color variations. WOOD SHINGLES Wood shingles and shakes come in various types of woods. A machine cuts the shingles while shakes are handmade. Pros: natural looking, come in a variety of colors and styles, lightweight, good for insulation/heating and cooling, and durable. Cons: very flammable and may be subject to area building codes, high maintenance, and are difficult to install driving up cost. CONCRETE & CLAY These types of roofing shingles add a unique look to your home are most commonly found on Mediterranean, European, and contemporary homes. Pros: energy efficient by reflecting solar rays, durable, fire resistant, and come in a variety of colors and textures. Cons: very heavy and require additional roof framing and doesn’t mesh with many home styles. SLATE Slate roofing is a type of rock that gives your home a unique look that isn’t found among many homes. Cons: expensive to purchase and install, heavy and requires very strong framing, and breakable and requires special care when performing inspections or repairs. Overall, any of these roofing choices will be durable and last for many years. All of the aforementioned choices come in a variety of colors, textures, and styles. Asphalt is the cheapest option but also the least distinctive and ecological. Metal, wood, concrete, and slate create a different look for your home but can be expensive. In the end, be sure to pick a roof that has maintenance and a cost you feel comfortable with. Carefully choosing your ideal material will be the cherry on top of your custom home design!